It might be overdone, but the post-apocalyptic genre is continuously consumed by our culture. From zombies, aliens and vampires, depictions of life after the end of the world are pretty saturated, as we’ve seen it all before… But maybe not. 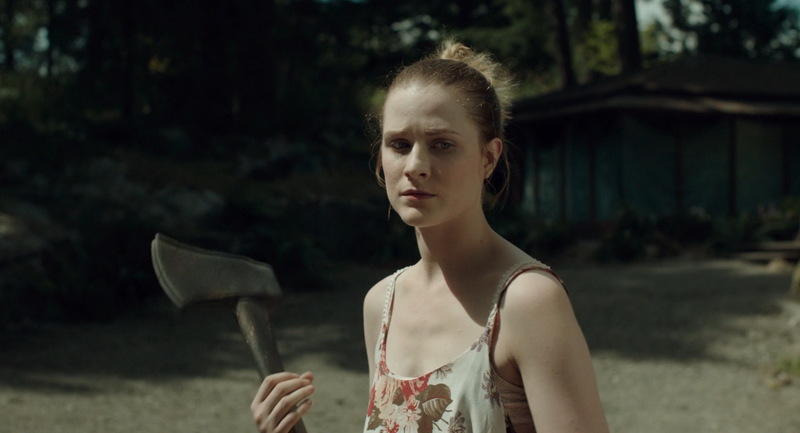 Into the Forest is a more realistic and grounded take on the genre, which focuses on the emotional struggles of two sisters, Nell (Ellen Page) and Eva (Evan Rachel Wood), who must learn to survive with little resources, after a nationwide power outage. With all electricity erased, the characters are plunged back into the Dark Ages. It’s not made clear what time period the film is set, but I suspect it’s the not-too-distant future, because of the advanced technology the characters use. At first, the sisters are fairly comfortable living with their dad (Callum Keith Rennie) in their remote woodland home; they’ve got plenty of food and fresh rainwater to live on, and physical activities to keep them occupied. But as the months pass, feelings of content turn into isolation, fear and loneliness. And with their dad suddenly out of the picture, the sisters must fend for themselves. Into the Forest is mainly concerned with the relationship between Nell and Eva, and how they cope with the situation. While the film has quite a few lulls, there’s still plenty for the viewer to chew on. We see how the siblings deal with adversity and inhumanity, relying on their sisterhood to overcome the obstacles. Wood and Page deliver confident and committed performances, and their characters’ devotion to each other feels very genuine. The film has no monsters, or deadly viruses, but instead two ordinary people trying to make the very best out of a bad situation. The pacing of the film is inconsistent in places and by the end, it doesn’t completely come together, as there are a lot of unanswered questions. Into the Forest is an interesting take on the ‘end of the world’ scenario, and a feminist spin on the post-apocalyptic genre. I appreciate the director’s intention to completely upturn the standard disaster movie tropes and bring us something a bit different. There are a few loose ends that could have been cleared up. But the film ultimately rides on the performances of Page and Wood, and it’s enough for a satisfying and aptly bold film. Stars: Ellen Page, Evan Rachel Wood, Max Minghella. The trailer looks good, albeit a little scary!